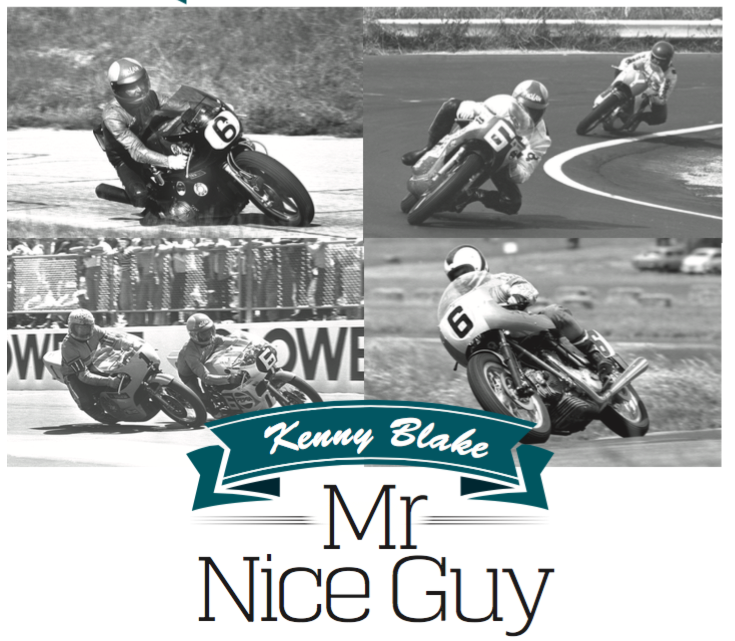 Every year on June 9 there is a luncheon in a Melbourne pub to honour 1970s racing hero Ken Blake. This year’s gathering marked 35 years since Blake died in crash at the Isle of Man TT. 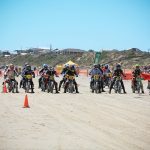 It is the only such continuously running rider tribute event we know of in the country – and that tells you how fondly people remember the man from Strathalbyn in South Australia. This popularity sprang as much from the variety and fighting manner of Blake’s success as the number of victories. 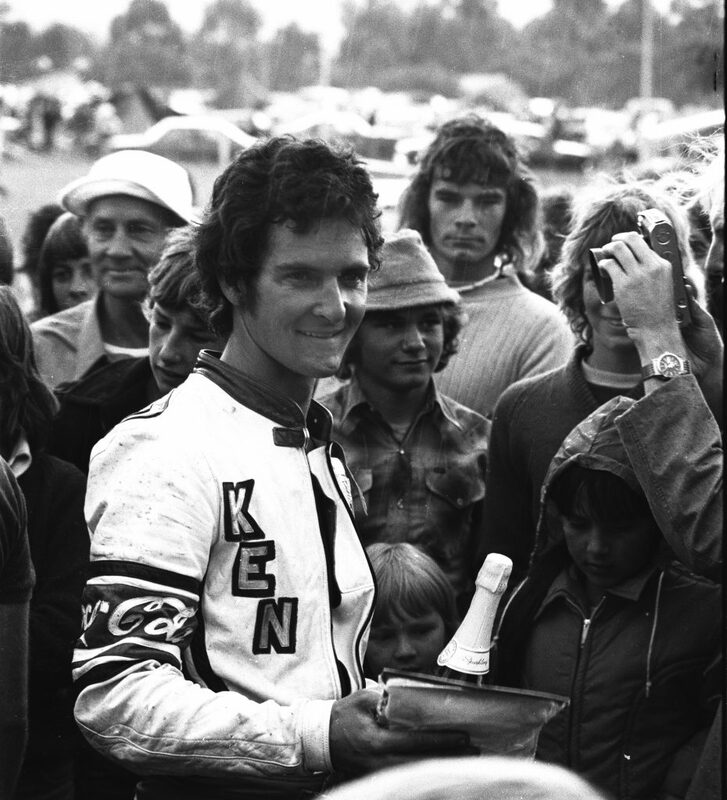 Blake was the last rider to win the Australian Unlimited TT (the one-off Australian championship of its day) on a British motorcycle, the only rider to win the Castrol Six-Hour Production Race solo and, in 1976, beat 15-times world champion Giacomo Agostini to win the Australian 500 TT at Laverton airbase. In 1979 he rode a Yamaha 350 to second place, with fastest race lap, in the Belgian 500 GP on an oil-soaked circuit at Spa-Francorchamps. He was brave and versatile, racing everything from 350 production Kawasakis and small-bore MV roadsters to factory Honda endurance machines, and 125 Grand Prix bikes such as Clem Daniel’s CSD to production BMW 1000s and Graeme ‘Gyro’ Carless’ ECCO Engineering BMW. Two-stroke or four-stroke, big or small, machines with nasty habits or sweet handlers, Blake could ride them all. They might pitch him down the road at times, but invariably he conquered them. 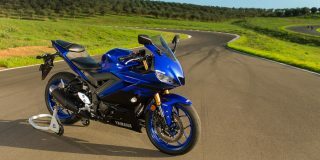 He once said of the early Yamaha TZ750 that it had two nasty habits in corners and the fun really started when it exhibited both traits at once. The ability to succeed on so many bikes and circuits won Blake admirers around the country, while his lack of pretention and cheerful personality earned him friends everywhere. 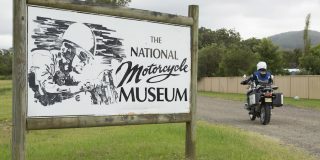 His popularity was confirmed in the mid-1970s as the stand-out winner to the survey question of ‘favourite rider’ in the Easter Bathurst program. The Kenny Blake riding story begins, a far cry from today’s mini-bikes, in week-day round trips of around 100km from Strathalbyn to Adelaide as an apprentice panel beater. At weekends he rode long loops through the Adelaide Hills. Blake’s first bike was a Honda 125 twin, followed by a string of Triumph Bonnevilles, as road bikes and his early race mounts. He rode his first race at Mallala at age 18 and by 1969 he was racing interstate on the Jesser brothers Triumph, a 730 Bonneville special running on exotic fuel and so highly strung it required an engine rebuild after every meeting. He won at Hume Weir, Symmons Plains and, in May 1969, beat John Warrian’s Tranzac-Triumph by a whisker to win the Australian Unlimited TT at Surfers Paradise International Raceway. That same month Blake had a one-off ride at Calder on one of Ron Angel’s demon-fast Kawasaki twin racers. He won, sowing the seeds of a hugely successful partnership in the first half of the 1970s. 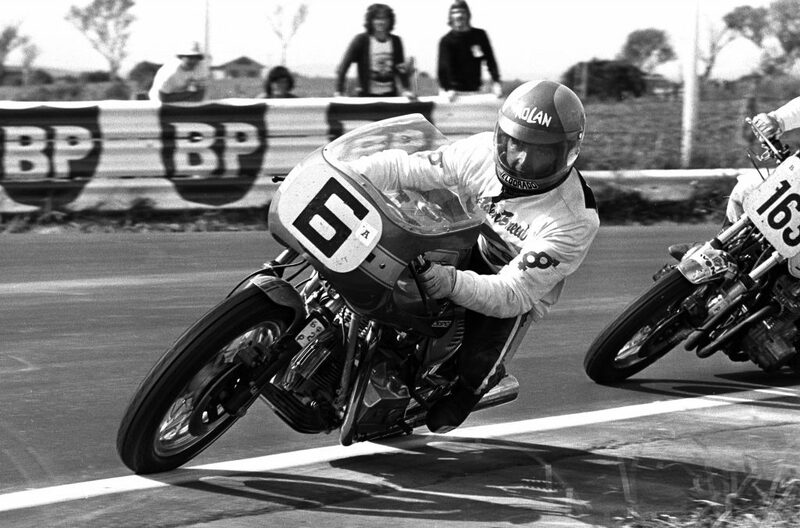 Blake was 21 when he claimed a second Australian TT on the Jesser-Triumph at Phillip Island in January 1970. 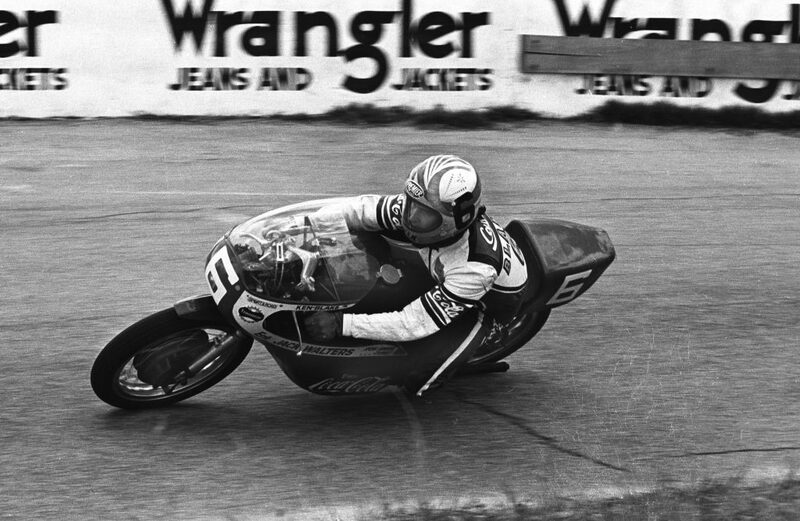 It would be a decade before another four-stroke machine won a national-title solo race (Wayne Gardner at Sandown in 1980). Two months later, Blake switched from the Triumph to Angel’s Kawasakis and moved into his sponsor’s Melbourne home. 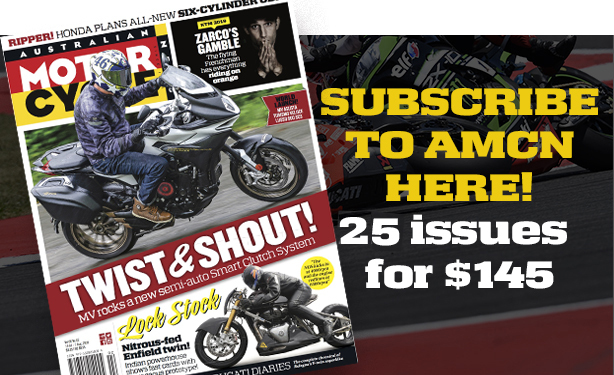 By Easter, Blake was mounted on a new three-cylinder H1R 500 and smashed the Bathurst lap record by five seconds. 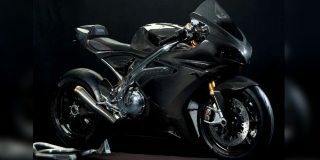 The H1R was never a sweet machine to ride, even after Angel cut the frame to change the engine location. Three major crashes in the next 18 months caused serious injuries, including a punctured lung, facial scars and a broken leg. But new machines followed, with Blake first to race a Ducati GT 750 in Australia in the 1972 Adelaide Three-Hour Production Race and the Ducati factory 750 that Bruno Spaggiari had raced to second place in the 1972 Imola 200. 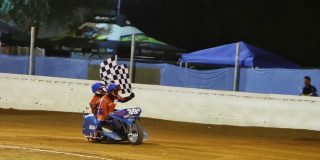 Blake’s portfolio of Angel-prepared racers expanded when Bendigo motel owner Jack Walters supplied Yamaha 250, 350 and 750 machines. 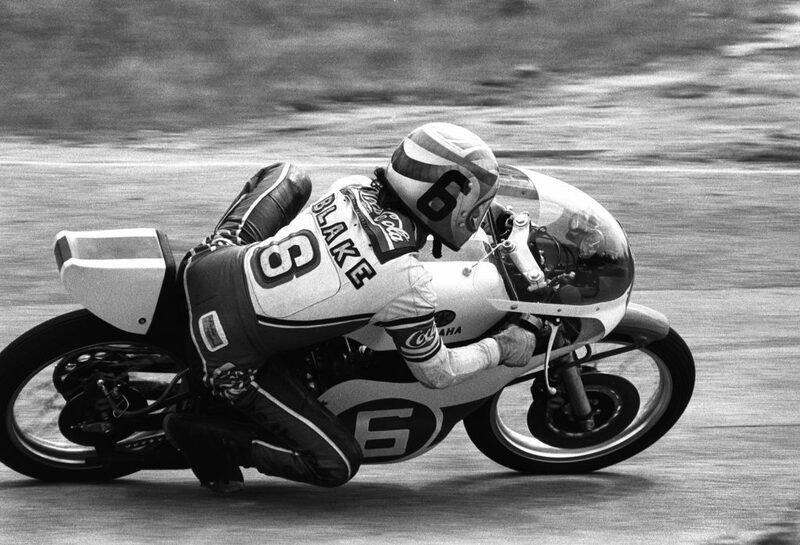 Blake won big time in GP classes from 125 to Unlimited in the first half of the 1970s. His eight Australian TT crowns included the 1971 500 race at Bathurst, three wins in a day in Perth in 1974 and the 1976 epic at Laverton. He also won two Australian GPs at Bathurst in 1973 and two of the newly inaugurated Australian Road Racing Championships in 1973-74. In 1974, he chose riding and winning the Castrol Six-Hour on the East Coast to staying an extra week in Perth to secure another ARRC title. Blake was gritty too. In 1975 at Bathurst he crashed during practice and broke ribs, yet still finished second in the Unlimited GP, third in the 500 GP and crossed the line first in the Unlimited Production race, triggering a prolonged stoush over the eligibility over the 863 Ducati he rode. 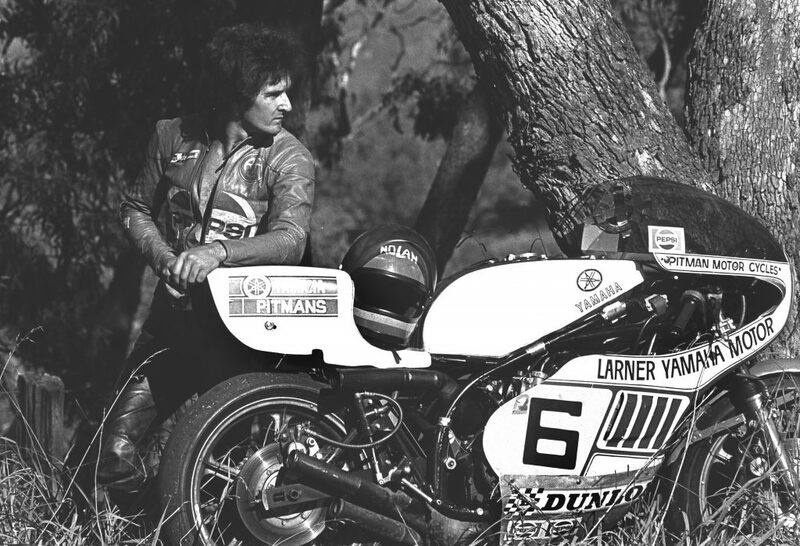 Blake rode Walters’ Yamahas to a raft of race victories and titles up to and including the January 1976 Victorian GP at Phillip Island, where he took the 350/500 double. On February 8 1976, he beat Agostini on a Suzuki RG500 that had been uncrated just days before. Later in the Laverton meeting, he finished third in the 350 TT, behind two works Harley-Davidsons. Twenty year-old New Zealander Stuart Avant was the hard-luck story of the Laverton 500 race. A seized engine unseated him while leading Agostini. Avant was immediately offered a ride in Europe, but there were no reported offers to 27 year-old Blake for winning the race. In March 1976, just weeks after the landmark Laverton victory, Blake and Angel contested the Daytona 200 and the shambolic FIM Prix Formula 750 round in Venezuela with Mulholland shock-absorber sponsorship on the Walters’ owned Yamaha TZ750. Their reward for many air miles and ferocious heat in San Carlos was a ninth placing in the first leg, followed by a crash in the second leg. Back in Australia Blake had, by his standards, a disappointing Bathurst. 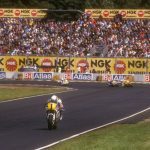 He did not win another race on the Suzuki and his next national-title level victory was in July at Sandown, by which time he had a different sponsor. Rusty Craggill, uncle of 1990s Superbike ace Marty Craggill, bought Blake a new Yamaha TZ350C. 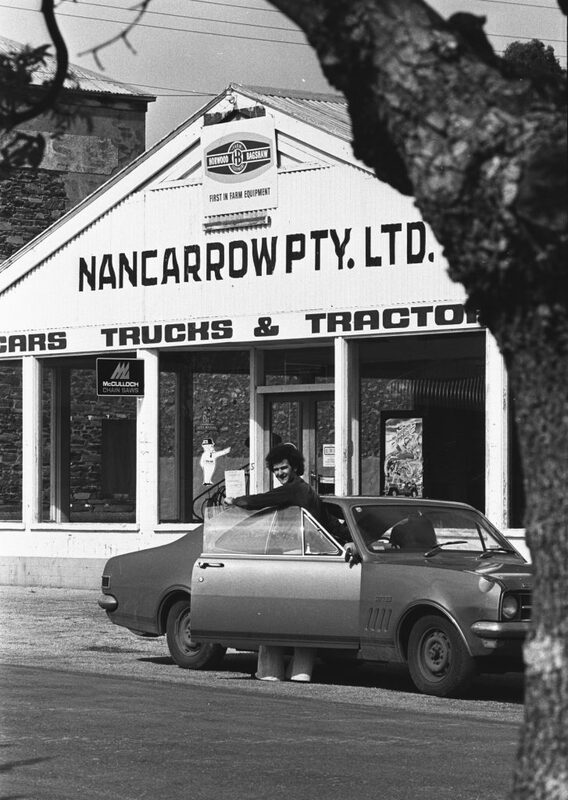 Summer tours of New Zealand for the 1976-77 and 1977-78 International 350 Series created a new opportunity for Blake, by meeting Chas Mortimer and his Australian mechanic Lionel Angel (no relation to Ron Angel). He headed to Europe in 1978, travelling between meetings with Angel and riding a Yamaha supplied by Mortimer. He followed Mortimer’s wide-ranging schedule, encompassing everything from the Isle of Man TT and GPs in France and Belgium, to road-circuit internationals in Austria and The Netherlands. In one of his first appearances he won the 350 international at Austria’s Talln-Langenlebran airfield. The Europeans who knew of Blake’s victory over Agostini two years earlier might have wondered why he’d left it so long and how, when he did arrive, it was with zero backing from his home country and one Yamaha 250/350 provided by an English private entrant. Blake’s stand-out international ride on GP machines was finishing second and setting fastest lap in the 1979 Belgian 500 GP, aboard a Yamaha TZ350F. 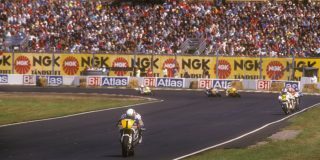 Track surface conditions were so slippery on tarmac laced with diesel oil that Blake raced with wet tread-pattern front tyre and the softest rear slick in the Dunlop locker. That said, Blake’s Castrol Six-Hour Production Race performances alone would have warranted legend status. He finished all ten Six-Hour races at Amaroo Park in the 1970s, for three victories, twice second, once third and once fourth outright, plus a third in class. Michael Dowson was the only other three-times outright winner in the event’s history. 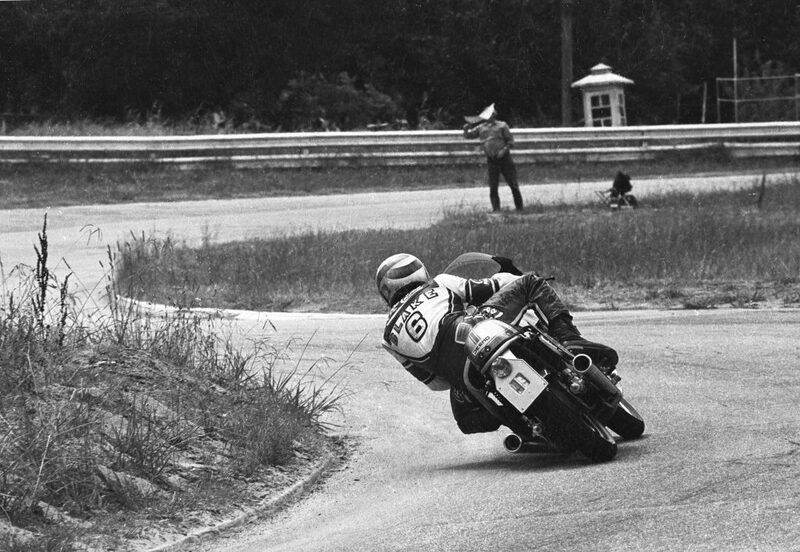 Between 1972 and 1977, Blake won three times, beginning in 1973 with a solo ride on a Kawasaki 900. 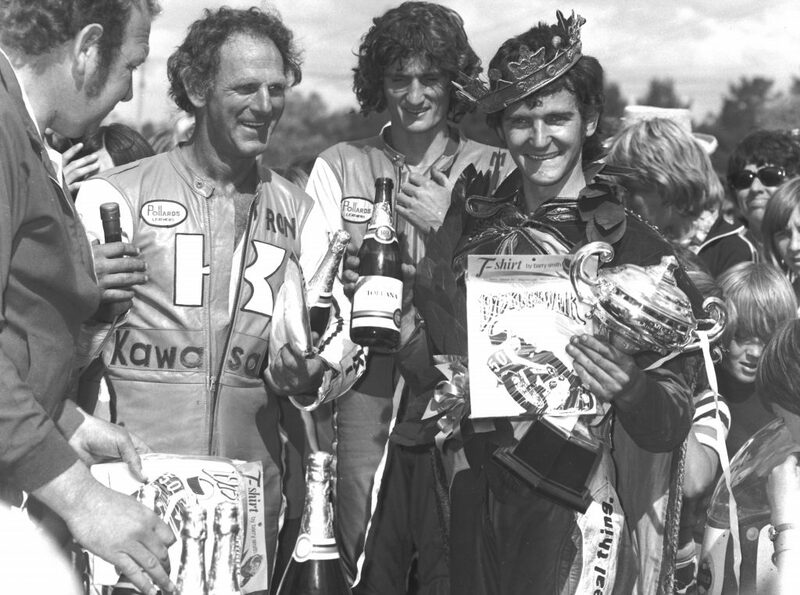 He won again with Len Atlee on a Kawasaki in 1974 and with Joe Eastmure on a BMW R100S in 1977. The intervening years saw him twice second on BMWs, solo in 1975 and with Tony Hatton in ’76. His lowest placing in those six years was third on a Ducati GT750 in 1972. In the four successive years Blake rode BMWs, he never finished lower than fourth and barely scratched a rocker box. In September 1979, Tony Hatton called on Blake to share a Honda Racing Service Center prototype in the Bol d’Or 24-Hour at Circuit Paul Ricard, after Mick Cole crashed and broke his leg while testing. Blake had been riding 250/350 racers all season, and, to Hatton’s delight, was in fine form. 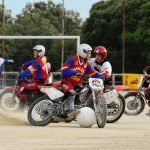 They challenged famed endurance champions Jean-Claude Chemarin/Christian Leon for the win until the machine lost third gear and was eventually classified eighth. Teams tackled 24-Hour events with two riders in those days. 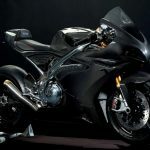 Hatton said he would write notes for Blake when he was off the bike, to relay detailed information that could not be passed on in the heat of a pit stop. Two months later they paired again to place third in the New Zealand Six-Hour on a Honda CB1100R. Honda hired Blake for selected rides in 1980, pairing him Chemarin. They finished fourth in the Liege 24-Hours at Spa-Francorchamps and Chemarin crashed out of the race lead late in the Misano 1000km. Those rides led to Blake’s first factory contract, to bolster Honda’s endurance squad in 1981. 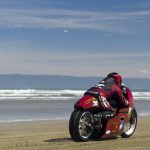 But he was still competing on Yamaha racers and rode in Ireland’s North-West 200, before heading to the Isle of Man in June. Early on the fifth of six laps in the 500 TT Blake lost traction on a wet patch of road at Ballagarey and struck a concrete post. He was 32.